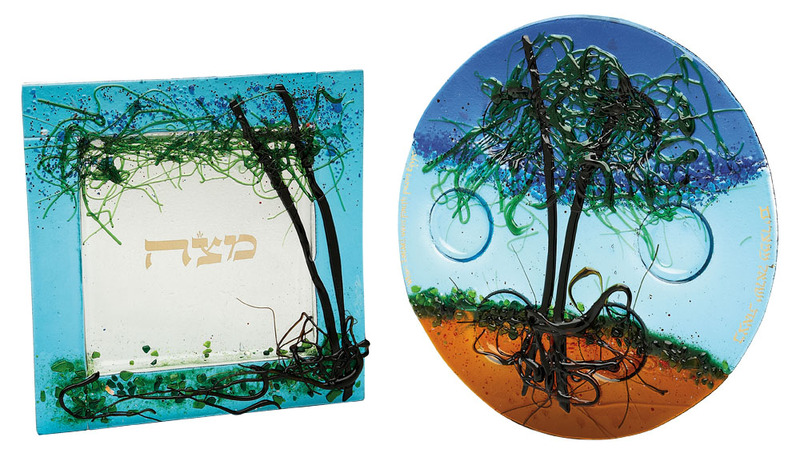 This Tree Of Life Seder Plate and Matza Tray Set Are Handcrafted By The Tamara Baskin Art Glass Studio. 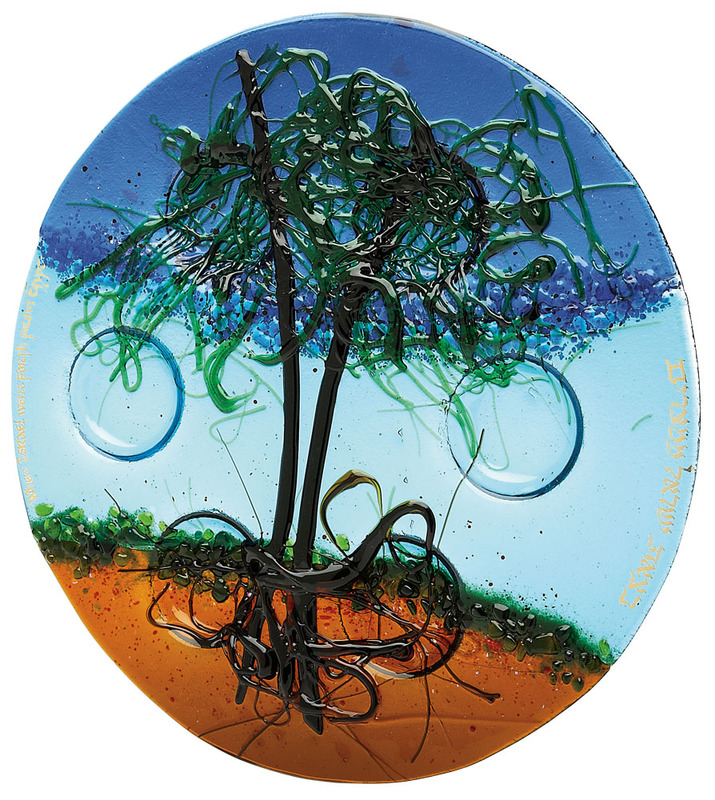 Each Piece Of Glass Is Hand Cut And Fused Together. 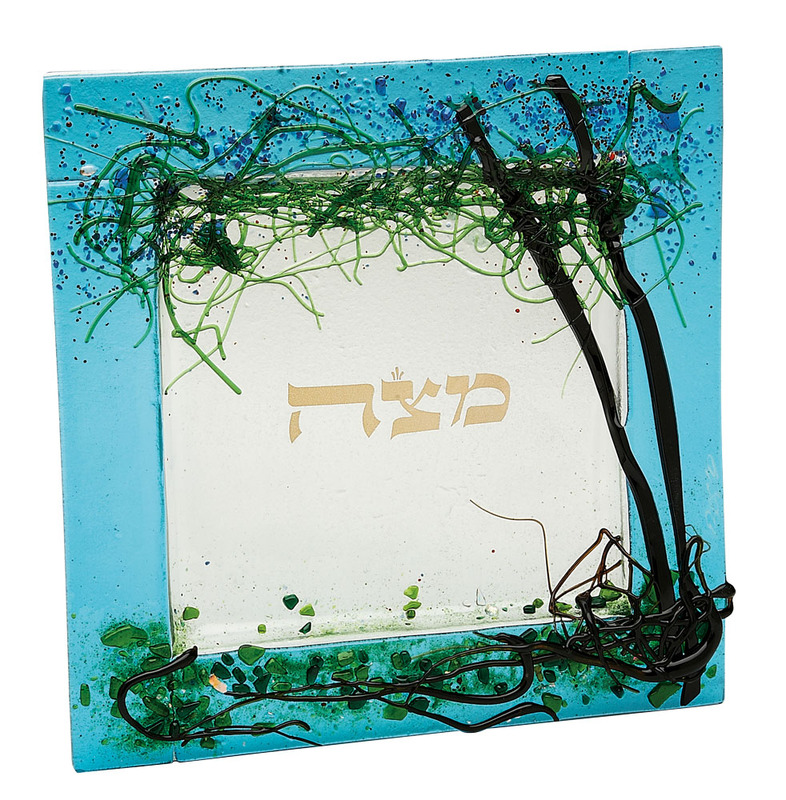 The Seder Plate Is 13" Round And The Matzah Plate Is 10 1/2" Square. As Each Piece Is Hand Made And Unique, No Two Will Be Exactly Alike. Because Of The Size And / Or Weight Of This Item An Additional Shipping Fee Of $8.00 Will Be Added To The Standard Shipping Rate At Checkout. 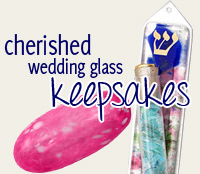 *Please Note: This Item Does Not Qualify For Any Free Shipping Promotion.